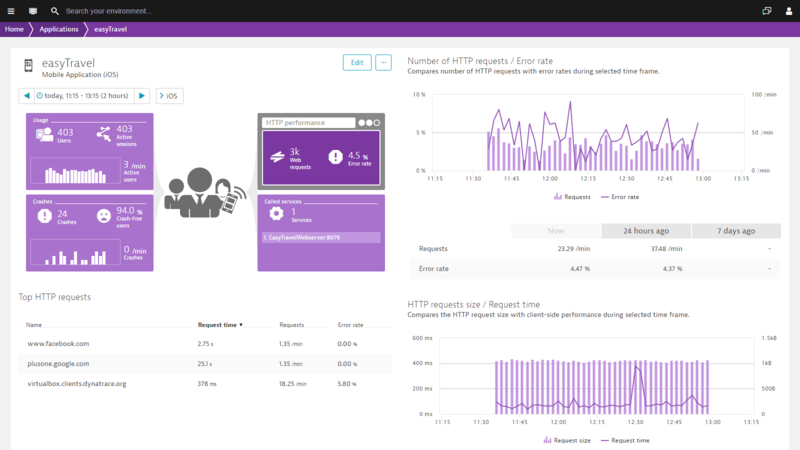 Lightweight and automated mobile app instrumentation delivers unique insights into your mobile apps and web sites. 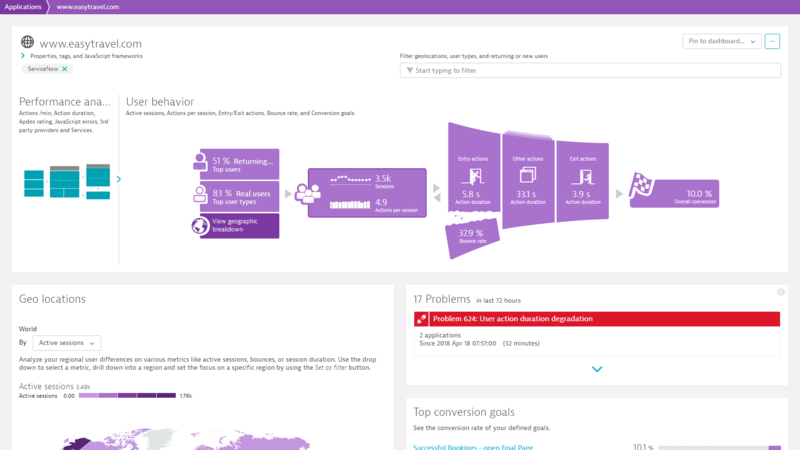 Within minutes, Dynatrace end user experience monitoring will unveil how end-users experience your app and what problems might impact their satisfaction. Drill down into the root causes in minutes, and proactively deploy improvements to your mobile touch points before they impact a wider audience. Are you employing responsive design to create a mobile-friendly web experience? Beware that mobile-friendly doesn&apos;t always mean user-friendly. So, how do you avoid disaster? Get a complete view of your mobile web sites, native or hybrid apps, on iOS and Android smartphones and tablets. Perform user experience analysis to understand and compare user experiences across any channels and map all user actions and transactions to business metrics. Today’s mobile apps rely on back-end services, cloud APIs and development frameworks to deliver faster on user’s expectations. See exactly what an individual user did, what systems and services where involved, and get all relevant information on application performance and functional errors. You&apos;ll know where to act and which teams need to be involved. 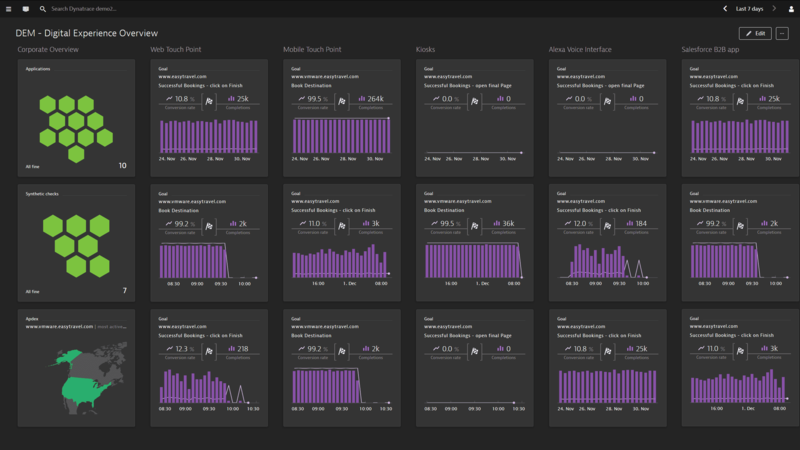 Dynatrace lets you identify and monitor mobile workloads hitting your back-end systems as well as monitor on-prem and third parties services availability. Be sure you’ll be sized to handle even the most challenging workloads.